The S.C. Department of Natural Resources (SCDNR) is excited to announce the launch of two new blogs. 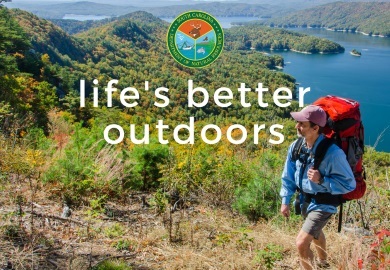 South Carolina Natural Resources and South Carolina Coastal Resources will take readers behind the scenes of outdoors and conservation stories from the Appalachians to the Atlantic. Visit little-known properties, tag along with wildlife biologists in the field, brush up on fishing tips, and learn about education and volunteer opportunities with the SCDNR. Want to read more? For freshwater fishing, hunting, and other recreational activities, check out scnaturalresourcesblog.com/. Writer David Lucas, former editor of South Carolina Wildlife Magazine, kicks off the launch with a series on the impressive heavy machinery needed to maintain SCDNR properties – and the people who operate them. For saltwater fishing, marine biology, and other coastal fun, visit sccoastalresources.com/. Join Erin Weeks, MIT-trained science writer for SCDNR’s marine division, as she explores the mysteries of sharks, sea turtles, and other strange sea creatures – and interviews the world-class researchers who solve them.